Philadelphia ranks as the ninth most distressed city in the United States, according to a recent study released by the Economic Innovation Group. The group’s 2017 Distressed Communities Index reflects areas in the U.S. where economic disparity is most felt and areas where the economy seems most successful – painting a bigger picture of a country at odds with itself. Opinion: What could Amazon deliver for Philadelphia? Researchers measured each area's distress level by examining at seven categories: the percent of the adult population with no high school diploma, the housing vacancy rate, population of adults not working, the poverty rate, the median income ratio, percent change in the number of jobs and percent change in the number of business establishments. The study’s authors analyzed these metrics for America's largest cities, compiling a list of the 10 most distressed locations. Philadelphia came in at No. 9, but it also showed the highest population on the list, by far. Detroit (which ranked No. 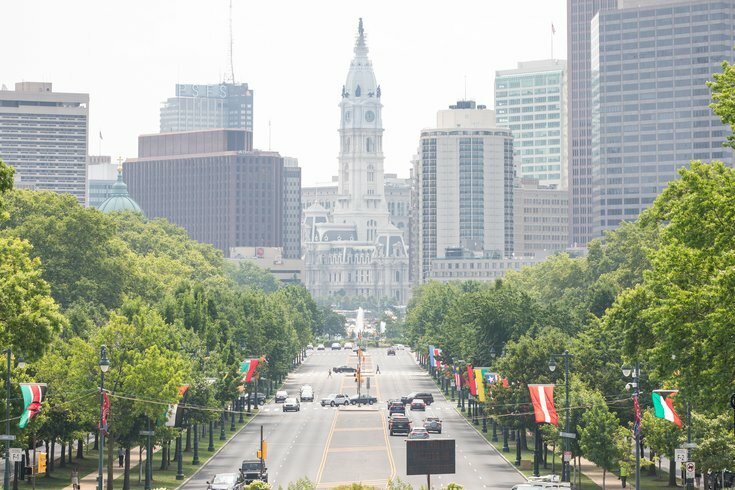 4 on the list) has a population of 690,070, second to Philadelphia’s 1,555,070 residents. Both Philadelphia and Detroit’s past industrial economies contributed to their high levels of distress, the study said. “Seven of the 10 most distressed large cities in the country are major urban cores in the Northeast or Midwest, and Stockton, CA, is a western city with a similar industrial history,” the report reads. West Coast cities, in general, seem to be faring better, according to the report. San Francisco, Seattle and Austin, Texas, all ranked within the report's top 10 of the least distressed cities.